International - 2016/12/15 - Preparing for Tokyo 2020, athletes and coaches all over the world were asking to MasTKD: Which events will give the best ranking? Which are the changes for ranking points? 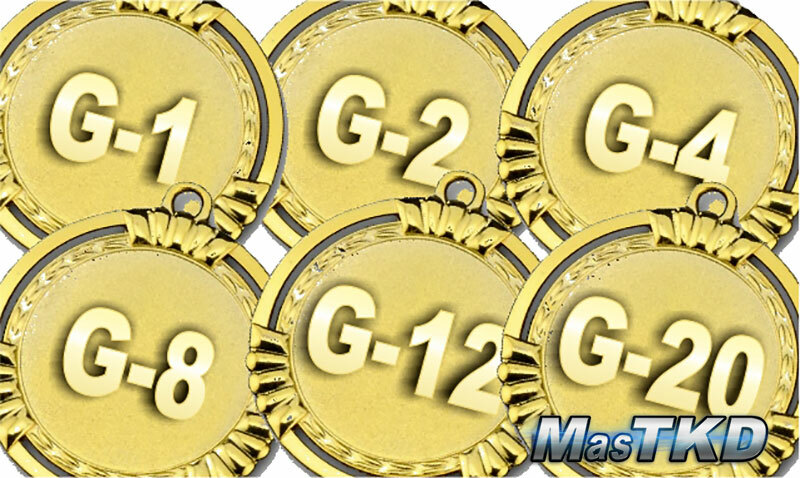 MasTKD explains which events will be considered, from G-1 to G-20 and the maximum ranking point, helping coaches and athletes to plan and prepare for their best tournaments starting 2017. Any G event will have a number after that makes it a “Rank Event” (as in example G-1). Depending on this number is the ranking point an athlete can get from that event. In events G-1 and G-2 an athlete can accumulate a maximum total of Forty (40) points starting January 1, to December 31; with the exception of the President’s Cup, which is excluded from this limitation; an athlete can receive additional 20 points when participating at the athlete’s own continent President’s Cup (and winning Gold), giving this athlete the opportunity to accumulate Sixty (60) points. 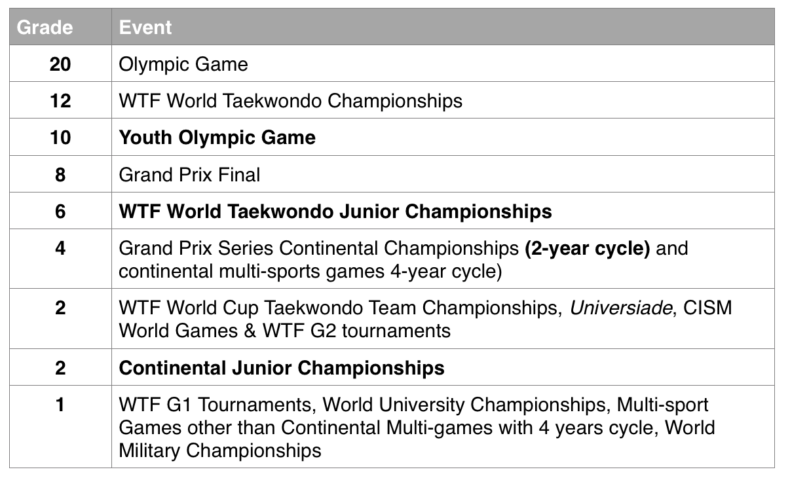 Any tournament with less than four (4) countries participating or a weight class with less than 4 contestants in the division cannot be recognized in the official results. So if your goal is to accumulate points, all coaches and athletes want to make sure the event you will be attending will have enough countries and participants competing at the weight class you need.